Sometimes for people that don’t enjoy video games and electronic sports or those that see these only as hobby or an occasional form of entertainment it’s very hard to imagine and understand that they can be as much a culture and a passion as any other “real life” sport. For those readers that are not familiar with eSports let’s just start by saying that these are video games competitions facilitated by electronic systems, they can be individual or multiplayer games, and usually involve battle games and real-time strategy games. The concept of betting on eSports is relatively new, but continues to gain popularity among gamers and bettors alike, we are talking about a reported global audience in 2015 of 226 million people and that is expected to double during 2016. The Defense of the Ancients 2 or DotA 2 multiplayer online battle-arena (MOBA) game is an example of a very successful eSport game that awakes the interest of eSports bettors around the world, The International 2016 DotA 2 tournament main event is scheduled to take place from August 3–11, with the finals being held on August 12 and 13; the prize pool is of $19million out of which the first place winners are expected to take home over $6.5millon. This event takes place at the KeyArena Seattle and is streamed live in different internet websites. The concept of the game is quite simple at least for followers of eSports, it’s a strategy game played by two teams of five players and each with the ultimate goal of destroying the others’ base. 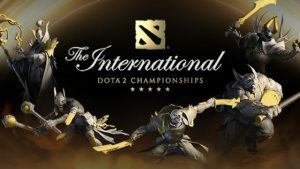 At AceSportsbook.com you can bet The International DotA2 tournament, bet on the winning team, on how far a team will go in the tournament, special bets on game achievements, props are also available. Four teams in a best-of-three double elimination playoff. Top two advance to Group Stage. Two best-of-two groups of eight teams. Top four teams in each group advance to Upper Bracket, bottom four advance to Lower Bracket. 16 teams in best-of-three double elimination playoff. Lower bracket first round is best-of-one, Grand Finals are best-of-five. Open today your AceSportsbook.com account and bet on eSports, if you are just now getting familiar with this option contact the customer service staff and they will gladly guide you through the process and will clarify any questions you may have. Whether its real life sports or virtual reality sports, AceSportsbook has the best odds to bet online, open your account today!